One of the best Lifestyle Collections shoe models from the Jordan Brand, the Jordan V5 Grown Low will be released in two new colourways this July 2011. 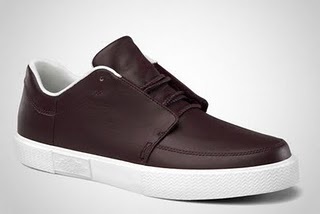 After enjoying success with the positive acceptance in the market, this casual shoe from the well-known brand of sports shoe is expected to hit strides once again with the release of the Deep Burgundy/Deep Burgundy-Sail and Obsidian/Obsidian-Sail colourways next month. Still featuring its flat and smooth leather upper part, expect this shoe to gain a lot of attention next month so don’t dare miss it!